Clue no.1 Zionists choke on the words ‘Palestinian‘ and ‘Palestine’ for to use them would be a betrayal of the zionist denial of the existence of Palestine. In The Cats of Ariel Palestinians are referred to as ‘Arabs’ which bolsters the zionist premise that Palestinians can be transferred (like Ariel’s pesky cats) to Arab countries leaving the whole of historic Palestine for the ‘chosen people’. Clue no.2 Zionists only use the word ‘Palestinian’ in connection to terrorism; a topic on which Avnery, as a former Irgun terrorist, is an expert. This reinforces the fiction that Israel’s war crimes are acts of self-defense. The Reign of Absurdiocy is a seemingly rational tome on the terrorism hype after the Paris attacks. But, in contrast to the previous Ariel’s cats piece, the word ‘Palestinian’ runs amuck: ”Palestinian terrorism’, ‘knife-weildingPalestinian’, ‘secular Palestinian terrorist organizations’, ‘Palestinians who want to fight and die for Allah’, ‘Palestinians-both religious or secular- who shoot, knife, run over Israeli soldiers and civilians’ and the misleading ‘Israeli-Palestinian conflict’ that suggests the occupier’s superior military advantage is equal to the oppression of the occupied. Clue no.3. The fusing of zionists with European Christians in the crusader image is another zionist strategy of promoting israel as an European bastion of righteousness in the barbaric Middle East and aligning israel on the western side of the clash of civilisations spin. Zionists ignore the irony of elevating themselves as European, which the Ashkenazi majority are, and simultaneously claiming semitic heritage to ancient Judaean tribes. Seashore Thoughts is a self-indulgent piece of zionist foppery opening with Avery enjoying a stroll and coffee at the seaside after a stint in hospital. Clue no.4. Zionists are blithely comfortable living in the land of Palestine which they stole by force. 67 years ago, a Palestinian would have owned the building/land from where it takes Avnery 5 minutes to walk to the Palestinian seaside. Meanwhile the majority of Palestinians never get to stroll their shoreline and feel the cool salty breeze while sipping 'americano' coffee. Avnery, no doubt, enjoyed first class medical care for his operation, unlike Gazans who are denied access by the zionists to medical care in Egypt and 'israel' because their hospitals, like the crumbling Shifa, are desperately and purposely under-resourced: zionist perpetrated genocide by medical deprivation. Clue no.5. Zionists energetically rebut that Palestinians suffer under zionist apartheid. 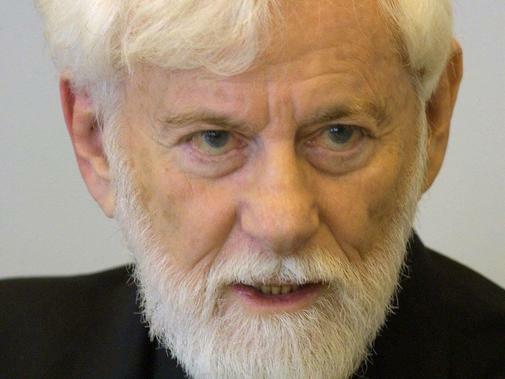 Avnery’s claim that 'israel' is in danger of becoming an apartheid state is an outright lie; it IS an apartheid monstrosity. The reality was Avnery’s Sabra comrades were terrorists who savagely established their Jewish utopia by pillaging historic Palestine and killing and driving hundreds of thousands of indigenous Palestinians literally into the sea, mountains and deserts to languish for 67 years in wretched refugee camps. Palestinian rights are held in hands that steadfastly hold the keys to their plundered heritage. By the way, the sabr- cactus plant isn't considered native to Avnery's country but to Palestine. The plant was there before Avnery came uninvited from Germany. Clue no.7. Avnery’s pessimism of a shared common humanity conforms to the zionist racist premise that only the two state solution which, Catch 22, the zionists will never accept is acceptable. - "These two peoples have nothing in common – socially, culturally, religiously, economically – except their mutual hatred." Clue no.8. The raising of the spectre of the eternally victimised Jew. with Daesh and Arab states ready to" turn against us” Omitted is Israel/US collaboration with Daesh to topple the Syrian regime And to push this victim agenda, he falsifies history - Saladin did not turn against Jews as they were 'protected people' throughout his empire. Until the onset of Zionism, Jews, Muslims, Christians lived together harmoniously. Clue no. 9. The Zionist demographic fear of being outnumbered by the Palestinians. Avnery’s third danger to the zionist entity is the “growing numbers of young, well-educated, talented Israelis will emigrate to the US and Germany, leaving behind the less-educated, more primitive, less productive population,” One can understand the flood of people emigrating a sick, warmongering, savage, fanatical pseudo nation full of Jewish snobs like Avnery. Clue no.10. Zionist hubris; hubris is a moral flaw and in this case it is the supremacist’s inability to acknowledge and own that inhuman violence begins and ends with himself and with every fellow settler - Miko Peled states, “The truth is that all Israelis are colonizers, settlers, and occupiers”. Even though zionists have impunity for their atrocities, until they own their genocidal guilt they can’t escape the psychological and societal consequences, see Video: "I killed for you, with these hands," Israeli soldier tells lawmakers. Unowned, the sublimated guilt, passed through generations, becomes projected onto others- Avnery writes “ We brought in a huge wave of new immigrants, and that’s where the trouble started,”. He projects blame on oriental Jews from Muslim countries, on the waves of Russian immigrants, and on the “ fanatical knitted ones’ for the fragmentation and imploding of zionist society that is only unified by war, by more atrocities, by more guilt precipitating cycles of self-destruction. Palestine will be free because inexorably, zionism is destroying the zionists in what Marcelo Svirsky calls “the system of anti-life called Israel”. However we can’t wait, for in the waiting young Palestinian martyrs are buried, the innocent are incarcerated en masse, homes are demolished and trauma is epidemic. We must be true friends of Palestine through dynamic BDS actions and advocacy.